If you enjoy helping people, nursing is an excellent career choice. There will always be a demand for qualified nurse practitioners and there are many different fields of nursing to specialize in. 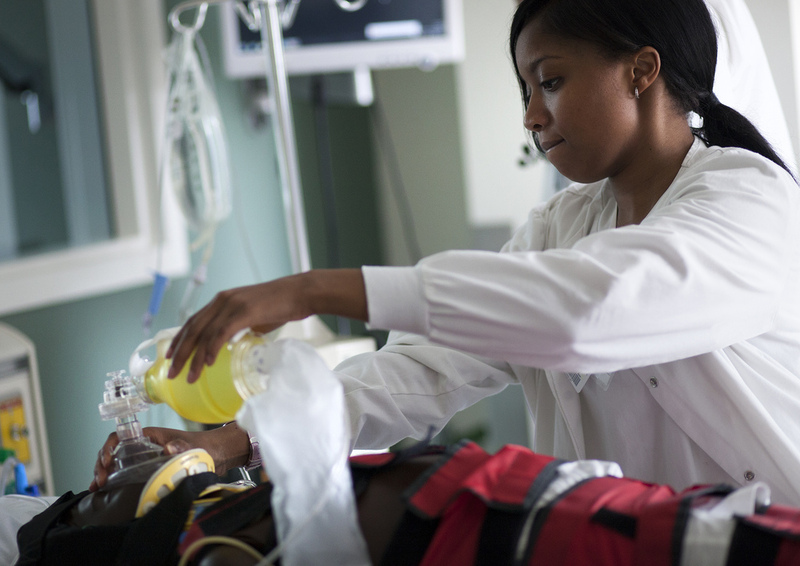 So what are the major reasons you should consider nursing as a career choice? Due to the aging population and the fact that people are living much longer, nurses will always be in high demand. By 2020, there will be a shortage of about 800,000 nurses according to the Bureau of Labor Statistics. There are now numerous nursing colleges offering an online master of science in nursing. Online MSN programs allow you to study for your nursing career while still meeting your current work and family obligations. This is why nursing is also such a good choice if you’re looking for a career change. Nursing allows you to work the hours that you want. You can work full-time, part-time, or even on a casual basis. If you have a young family, you can opt to work in the evening when your children are asleep and have most of the day available to spend time with them. Nursing can be one of the most personally rewarding fields that anyone can work in. More often than not, patients will interact with the nursing staff much more than they do with the doctor. What could be more rewarding than helping people who are unwell to get better and make their hospital stay more comfortable? Once you’re qualified as a nursing practitioner, there are many different fields. You can work in a major hospital in their trauma care unit or as a midwife delivering babies. You can specialize in aged care and conduct home visits to elderly people. You could even transition to a career in teaching or work in medical research. Qualifying for a particular nursing specialty will also mean that you will earn a higher salary and your services will be even more in demand. According to the Bureau of Labor Statistics, the median wage for nurses is $50,000 to $60,000 per year. On top of this, you’ll also be paid penalty rates for working on public holidays and over the weekend. Once you become qualified in your chosen specialty you can expect to earn much more. Many people choose nursing as a second career as it offers so much flexibility and personal rewards. Working in nursing allows you to work flexible hours. It’s also an excellent career choice for stay-at-home moms who want to re-enter the workforce once their children have started school. You can easily complete your qualification while your children are young, especially if you’re studying online. Choosing a career as a nurse practitioner offers both flexibility and job satisfaction, and is the kind of career that is not limited by where you live or where you want to live. So if you are still on the fence about the profession, don’t hesitate any longer.